When you need to capture detailed data on the worksite, nothing beats scanned data for its ability to document the complete scene. 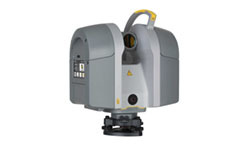 The Trimble TX6 is a cost effective 3D scanning solution. Its high scan speed and accuracy make it the most productive scanner in its class and it’s built for demanding environments. 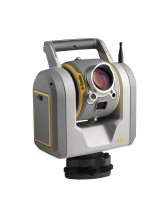 The SX10 scanning total station redefines the capabilities of everyday survey equipment by providing the world's most innovative solution for surveying, engineering, and scanning professionals. The SX10 will change the way you work. This new, versatile solution is capable of collecting any combination of high-density 3D scan data, enhanced Trimble VISION imaging, and high-accuracy total station data, allowing you to capture exactly what you need, saving you time and money on every job. The Trimble® RealWorks point cloud modelling software enables you to register, visualise, explore and manipulate as-built data collected from your 3D laser scanner. 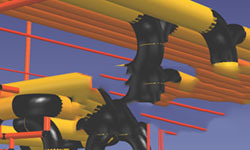 You can easily model existing pipe from point cloud data using the EasyPipe routine. Finally, export your modelled point cloud for import into popular CAD/BIM packages to jump-start your MEP estimating and detailing tasks. Trimble® EdgeWise dramatically reduces the time required to accurately transform point cloud data into intelligent and actionable models of the worksite. 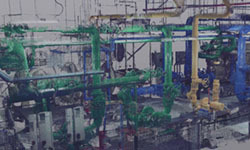 From scanned point cloud data, the software automatically detects elements such as pipes, conduit and structural objects, then precisely models them using the dimensions and geometries included in a vast library of common elements. 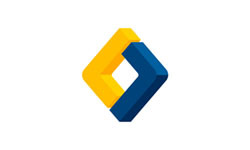 Do you need Trimble's advanced 3D scanning solutions to do your job with precision? Contact us today for a demo or to talk to one of our experts.